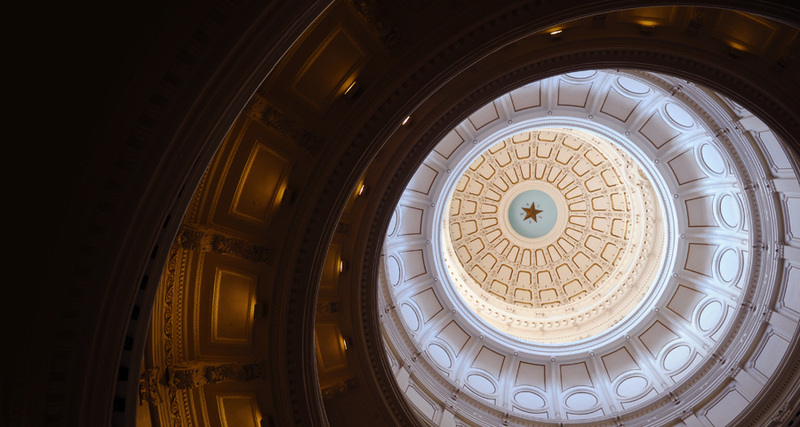 The University of Texas/Texas Tribune Poll has been released, providing a look at Texans' attitudes about the issues and policies facing the Texas Legislature. Check out our polling partners at the Texas Tribune as more data gets released, then come back here for detailed results, crosstabs, and analysis in the days and weeks to come. The Texas Politics Project Webtext (now in its 5th edition) provides a comprehensive account of the workings of Texas state government. 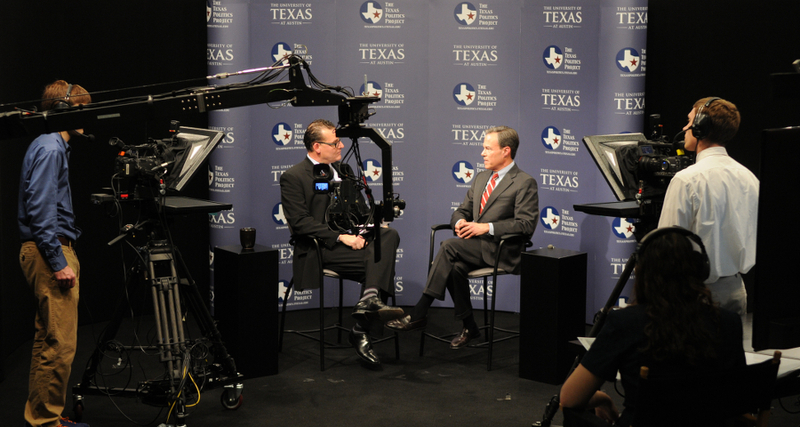 The Texas Politics Project hosts regular events with politicians, pundits, and journalists. Go to our events page to see what's coming up or to watch an interview from the archive. 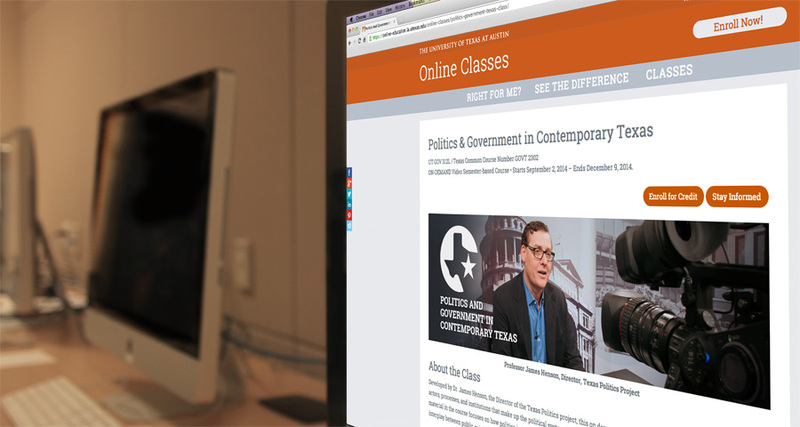 The Texas Politics Project offers online courses in Politics and Government in Contemporary Texas, which fulfill the second semester requirement in the GOVT2301/2302 sequence or the GOV312 requirement at UT-Austin. Looking for interns? Looking for an internship? The Texas Politics Project at The University of Texas at Austin provides this public web service for students seeking political and government internships, and for employers seeking to locate student interns. The June 2018 University of Texas/Texas Tribune Poll surveyed Texans on the 2018 general election along with issues ranging from the ongoing Russia investigation to immigration and gun policy and more. Eventually politics will return to discussions of how much money to spend on disaster recovery in the wake of Hurricane Harvey. In thinking about that eventuality, the Texas Politics Project has produced some maps that combine the counties designated as disaster areas by Governor Greg Abbott with political district boundaries. The June 2017 survey of Texas' registered voters takes a deep look into the issues addressed during the 85th Legislative Session, attitudes towards President Trump, and more. 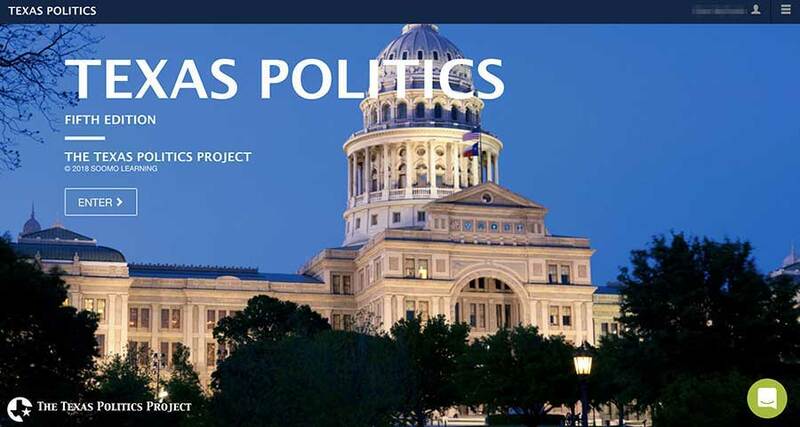 The Texas Politics Project maintains a clear and dynamic presentation of the story of Texas Politics building on Web-accessible video, audio, graphical, and textual formats to foster student and citizen interest in Texas Politics and to provide instructors and students with a comprehensive set of tools for teaching and learning. The Texas Politics Project manages three to four non-partisan, statewide polls of registered voters each year in conjunction with the Texas Tribune. In addition to graphs and charts designed to make the data more accessible, the raw data is available to researchers, students, and the general public. The Texas Politics Speaker Series invites guests from all walks of political life to the University of Texas at Austin for a series of sit-down interviews every semester. These events are free and open to the public. In addition, all interviews are recorded and made available for the purpose of education, civic engagement, and general interest. The Texas Politics Project acts as a posting site for political internships at the Capitol and around the state for students interested in gaining real life political experience. In addition, we offer an internship course, in conjunction with the Department of Government at UT-Austin, that provides students with practical political and policy experience. The Texas Politics Project supports research through our freely accessibly polling data, scholarship programs, and visiting scholar support. In addition, the Texas Politics Project maintains a visual library of important statistics about Texas meant to inform research in addition to public discussion.